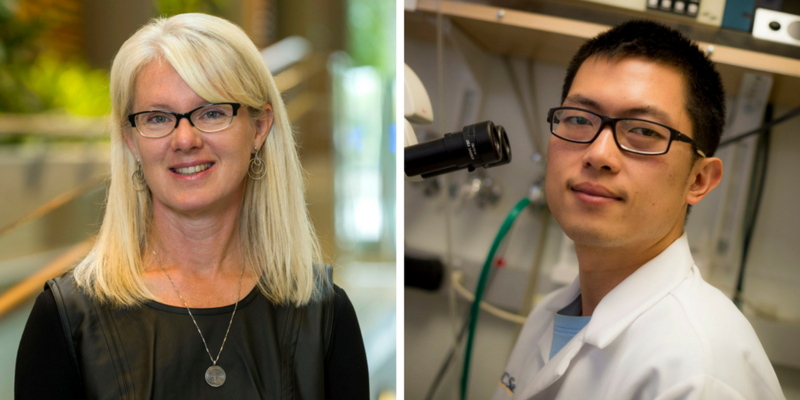 Lori Beaman, Faculty of Arts, and Dr. Simon Chen, Faculty of Medicine. The University of Ottawa has been awarded two new Canada Research Chairs and eight more have been renewed. The latest appointed chairs will extend the University of Ottawa’s breadth of research and expertise to study the limits of religious freedom in Canadian society, and how to overcome brain dysfunction associated with stroke, neurodegenerative diseases and traumatic brain injury. “Thanks to support from the Canada Research Chairs program and the Canada Foundation for Innovation, the University of Ottawa continues to offer brilliant researchers state-of-the-art environments that facilitate new discoveries to enhance Canada’s competitive edge and benefit all Canadians,” said Mona Nemer, University Vice-President, Research. Where do we draw the line on religious freedom? To what extent should we protect religious expression and at what cost? These are some of the questions being explored by Lori Beaman in her studies as a Canada Research Chair. She hopes that her answers will help define the sort of nation Canada is—and should be. One remarkable feature of the brain is its plasticity, namely its ability to rapidly adapt to a changing environment by learning new motor functions. Dr. Chen’s research hopes to advance our understanding of how the brain does this and to develop methods to overcome dysfunctions associated with stroke, neurodegenerative disease and traumatic brain injury. The University of Ottawa is home to over 50,000 students, faculty and staff, who live, work and study in both French and English. Our campus is a crossroads of cultures and ideas, where bold minds come together to inspire game-changing ideas. We are one of Canada’s top 10 research universities—our professors and researchers explore new approaches to today’s challenges. We attract exceptional thinkers and welcome diverse perspectives from across the globe.